Ever since 1961, the Koper Adult Education Centre has been the main education, counselling and information centre for adults in the Coastal region. Our activities take place at our headquarters in Koper, at units in Izola and Piran, and elsewhere in the Coastal–Karst Region. Our 16 gainfully employed staff members are joined annually by around 100 external collaborators – teachers and lecturers. Every year, more than 2700 adults use our education services or seek advice on education and career development. We offer education programmes, vocational training and the possibility to acquire national vocational qualifications (NVQ). With our help, you can finish elementary school or attend high school and obtain one of the following titles: computer technician, economic technician, pre-school teacher, or retailer. In cooperation with DOBA – European business education centre in Maribor – we offer post-secondary and higher education programmes, as well as online postgraduate studies and an extramural high school programme. We offer preparations, assessments and validations of national vocational qualifications for citizens seeking to become social home helpers, guardians of pre-school children, valets, cleaners, information systems administrators, bookkeepers, accountants, or herbalists. Through our programmes, one can acquire or improve knowledge and skills for personal and career development. Numerous programmes are commissioned by companies, other institutions and various local groups. In the field of computer science, we specialise in brief targeted trainings commissioned by companies. Our language centre boasts the longest tradition in the Coastal area, professional competence and strict quality control. Extensive standard selection of foreign and Slovene language courses is supplemented with specialised programmes commissioned by companies. We are authorised to administer adult foreign language exams by the National Examinations Centre. With the help of municipal, national and European funds we offer various programmes and activities free of charge to help and support individuals in their personal and career development. We offer free education and career counselling at our counselling centre, as well as guided self-education with the assistance of a mentor at the Independent learning centre. With the help of funding by both the Ministry of Education, Science and Sport and the European Union, we have been organising various free courses for employees and other adults to develop fundamental competences. Since receiving a concession by the Ministry of Labour, Family, Social Affairs and Equal Opportunities to perform labour market activities, we have been organising workshops for job-seekers. 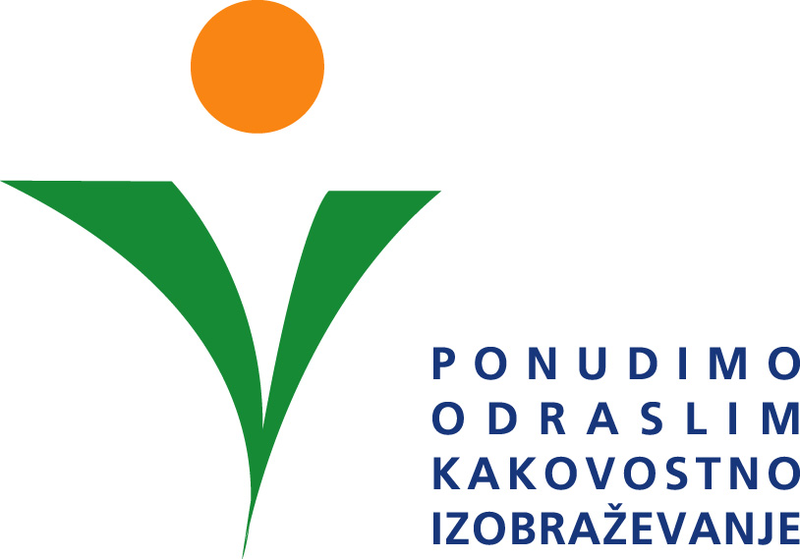 Individuals referred to us by the Employment Agency of the Republic of Slovenia may join various workshops to recognise their assets, interests and competences, boost their efficiency in the labour market, and improve communication skills. An important part of our operation is teaching Slovene as a foreign language, as well as administering exams and other activities in the field of intercultural dialogue and immigrant integration. More on our courses. We are authorised by the Centre for Slovene as a second and foreign language at the Faculty of Arts in Ljubljana to administer exams in Slovene at the basic level. We received the national quality recognition award for adult education called POKI (Ponudimo odraslim kakovostno izobraževanje – Offering quality education to adults). The award signifies that we consistently and systematically control the quality of our programmes and seek to introduce improvements, thus boosting the quality of our services.